Bring the magic of Santa home to a child! 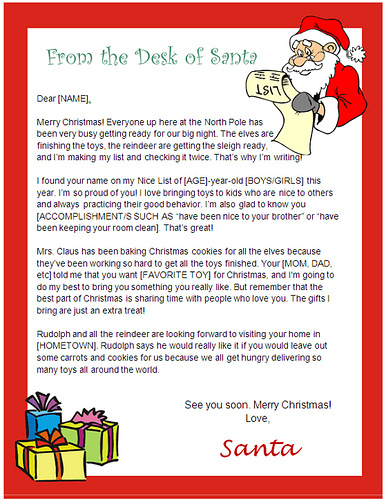 These Santa letter templates are saved as Microsoft Word documents, so they’re easy to edit and personalize. Simply look for the words in [BRACKETS] and replace them with your own child’s name, age, hometown, wish list items, etc. – all the things only Santa would know! These templates are licensed for your personal, noncommercial use, so you can use them for ALL the children in your household year after year. (Commercial resale not allowed.) Why pay more when you don’t have to? Customize one of these letter and use it to keep the magic of Santa alive for years to come starting at just $3.99. 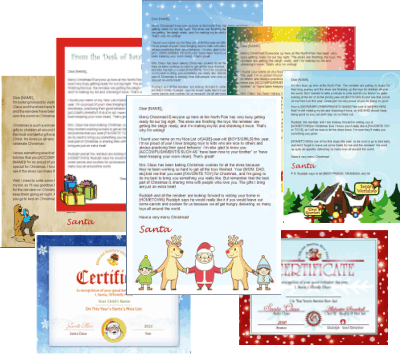 In addition to individual letters from Santa, we also offer Santa’s Nice List Certificates, combo packs with a Santa letter and Nice List Certificate and the Complete Santa Letter Template Package. 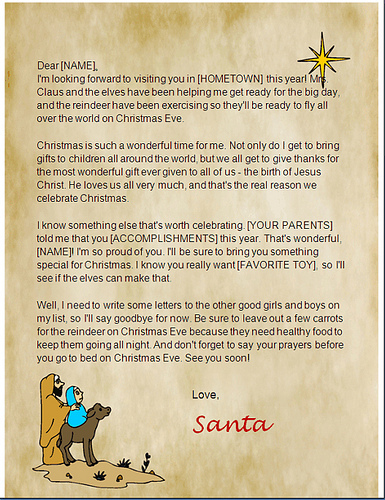 Why Buy a Printable Santa Letter Template? – No more fees! 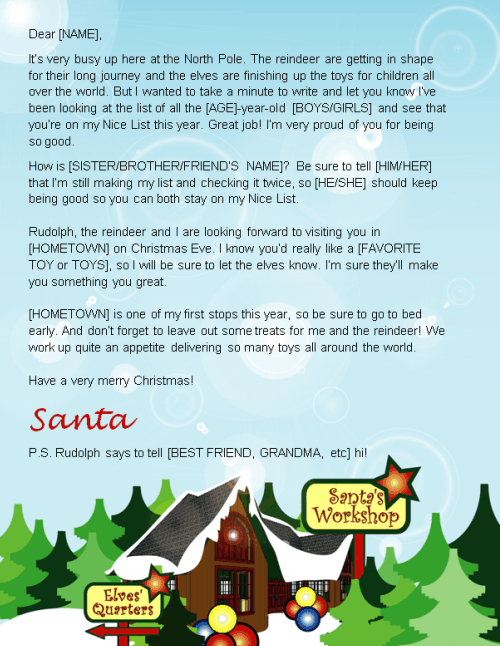 When you buy one of our Santa letter templates, you’ll receive a Word document that you can edit and use as many times as you like for your own personal, noncommercial use. – Easy to customize! 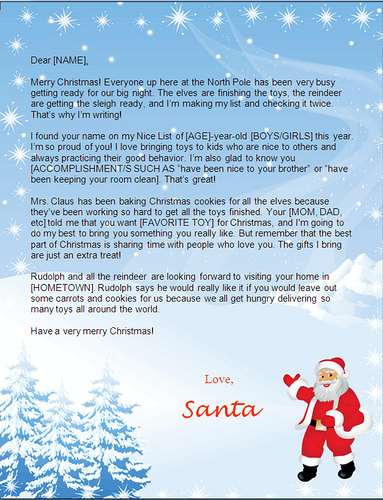 Your printable Santa letter is saved as a Microsoft Word document, so it’s easy to personalize with any version of Microsoft Word 97 or newer. – No waiting! 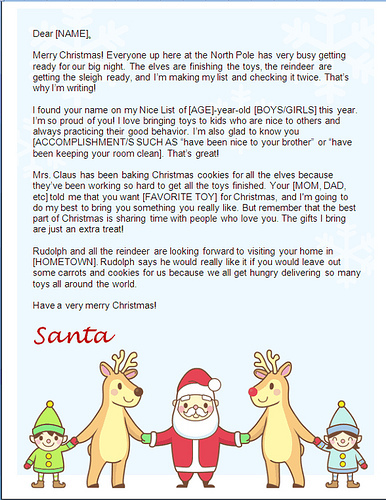 Don’t worry whether your child’s Santa letter will arrive on time. 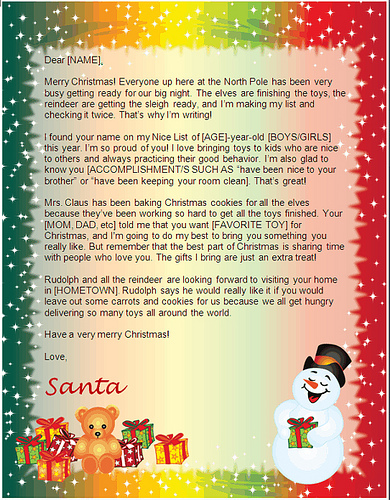 As soon as your secure order is processed, you’ll get an email with a link to download your printable Santa letter. No resale allowed. By purchasing a template, you are agreeing to these conditions.